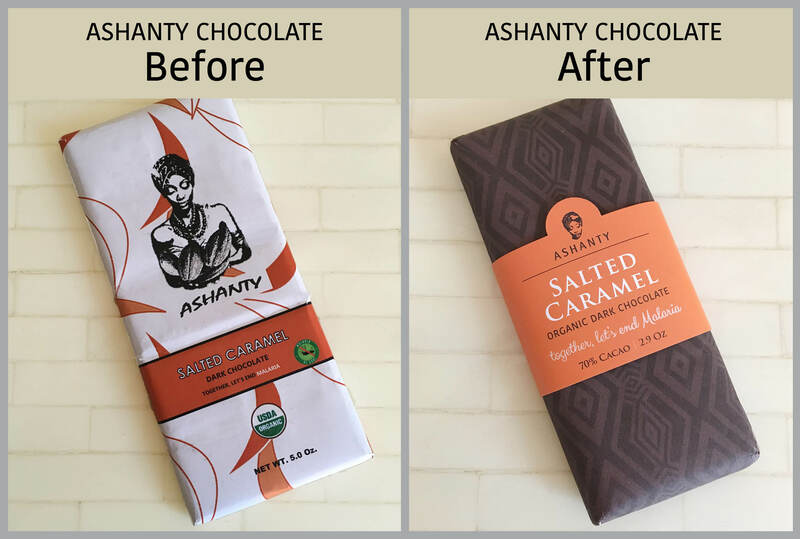 Sharon Klein Graphic Design is pleased to announce that the new branding and chocolate packaging line designed for Ashanty Chocolates has begun production. 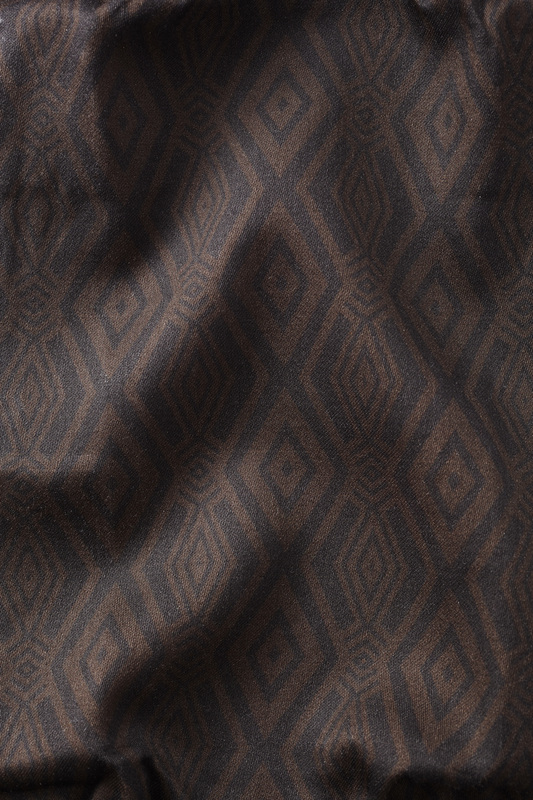 The 4 flavors (2 dark, 2 milk) are each hand wrapped in gold foil, then a custom African inspired pattern, printed on cotton/silk fabric to create a very upscale impression. 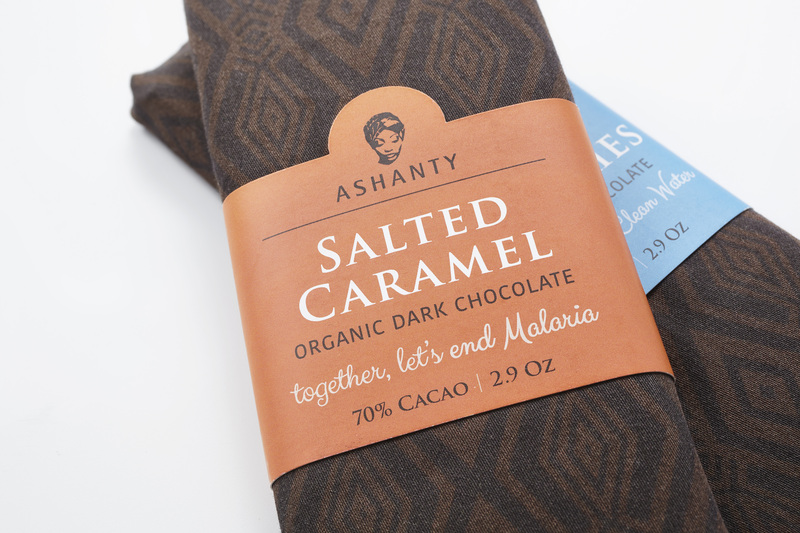 Using secondary colors and large readable type, the labels contrast with the dark chocolaty colored background making them pop off the shelf. The bars will be sold at stores, green markets, online as well as corporate gifting in a branded mahogany box. 5% of profits from sales of the bars will go to a variety of causes. Next project is applying the new branding to the rest of their product line of small bars, chocolate covered nuts, hot chocolate and a chocolate spread. I’ve had the privilege since January of working with Alchemy Creamery, the LIC based dairy-free, vegan ice cream manufacturer. The projects created for them were an Indiegogo online fundraising campaign, postcards, posters and new business cards. Their greatest pain point was the re-design for their Smorgasburg booth display menu sign. Together, we analyzed their previous signage and strategized what would work to help their customer’s user experience. Utilizing that information, I created a sign that is clear, fun, directive and the feedback is 🙂 its working! In addition, last week I had the pleasure of making ice cream with them at their kitchen. What fun making push-pops in 4 different flavors. YUM!